Referred to as “Dakbayan sa Sugbu” or “Syudad sa Sebu” by locals, “Queen City of the South” to some, others may call it home of “Sinulog” Festival or home of Sto. Nino de Jesus – while I, myself call it the best Island hopping destination with the best port facilities for a weary island hopping geek like me. Cebu a popular vacation haven is strategically located in the central Philippines and is known to be the center of trade, commerce and manufacturing in the whole Visayas and Mindanao region. Its capital city is a highly urbanized, progressive city and is known to be the oldest in the county – within it is a vibrant night life, and a fantastic day time diving, snorkeling and whale spotting adventure – frequented mostly by foreign and local tourists, as well as businessmen. Cebu City is also considered to be the alternate nerved center (if Manila cannot fully function itself) of various national government offices including the Executive and Departmental bureaucracies, Air and Naval assets of the Military. Foreign Consulate and Embassies, local and Multi-national business establishment does have offices here. Derived from the word “SEBU”, meaning oil coming from meat fats that solidifies when subjected to very low temperature. Cebu by the way was not known for its trade of oil or animal fats which are perhaps copious in the island long time ago, but rather through its abundance of gold and slaves. The term Bisaya is synonymous to the term slaves as slave trade was practiced in this part of the country before Spanish conquest. Cebu has been a major trading center for centuries since 900 A.D., conducting trade with Asian neighbors like the Chinese, Malays, Indonesians, Siamese, and so does the Arabians and Indians in particular. Upon Spanish landing in Mactan headed by Ferdinand Magellan in 1521, a Siamese junk was said to be anchored near the beach, and that the Siamese traders were seen to have paid tribute to Rajah Humabon, the ruler of Sebu; and negotiated thereafter for its gold, slaves, and cotton in exchange of their porcelain, silk, and other stuff. Cebu was appointed as the capital of the country in 1565. However, after six years from its declaration, it was replaced instead by Manila as the center and sit of power by the ruling Spaniards. Even though it was stripped of its privileges its trade activities with the outside world remained, thus nearby communities grew larger as economic activities developed and flourished in gradual paced. One of the most important highlight in terms of shipping activities during Spanish era is that of the economic trade between the Cebu and Mexico parallel to that of Manila to Acapulco Galleon trade – though it was exploited but only for a short period of time. It is said that huge transportation cost and the limited trade items available to fill the entire cargo space of the boat were sighted as the main reason of its failure to gain profits, and consequently it ended on 1604. Such development prompted the Spaniards and some elite merchants to relocate to the capital City of Manila after the end of Cebu’s participation in the Galleon trade. One of the priority projects during its rule was port improvement. American’s knew very well that having a good port means they had a good staging ground to do trade activities in the country specifically in this province. Much attention was given for the development of major ports particularly in Cebu, Iloilo and Manila – both of which had growing trade activities, but unfortunately it has poor facilities to handle numerous ships. Prior to the Cebu port improvement, a construction of thirty feet wide timber wharf begun on march of 1904, it was intended to augment temporarily its docking facility to accommodate various ships, it was then completed on September 1904 (RPC, 1904). 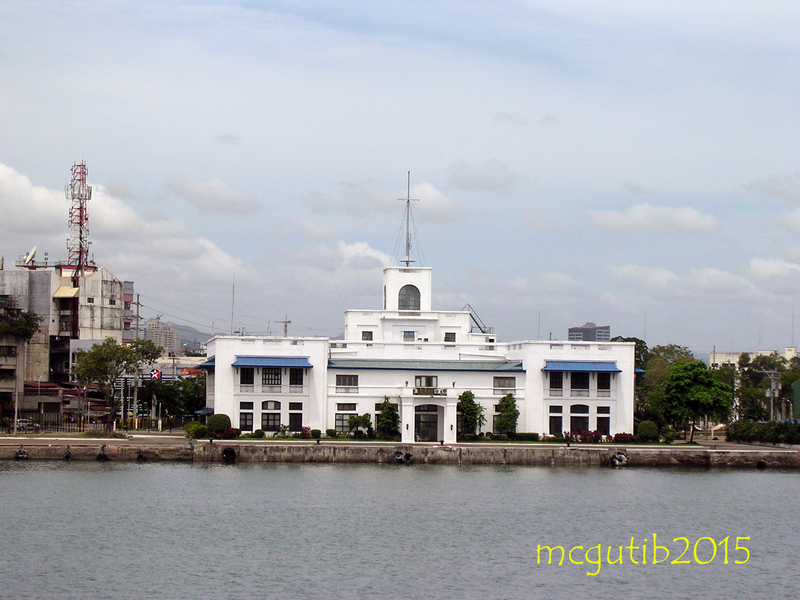 From 1904 to 1913, major port improvement was successively carried out by the local government of Cebu. Among the project mentioned is “the construction of a concrete masonry dock and bulkhead about 2,600 feet long, the reclaiming of about 13 acres of land adjacent to the already congested business portion of the city, and provides for vessels of 23 feet draft and for future extension of docking facilities when needed” (RPC, 1903). As the result of the local government’s effort, a much better wharf measuring two thousand three hundred feet became available to each port user on 15th of April 1908. During Second World War, Cebu and many outlying islands were not spared of Japanese occupation and devastation. It was on the 10th of April 1942 ,when the mighty Japanese forces finally landed in Cebu- and as a result, the entire city then on became its principal base owing to its strategic location and its large population. Wharves along the port were utilized as docking space for large warships of the Japanese Imperial Navy. Later on these wharves mentioned were also used by Japanese firms who carried out extraction of copper and coals in the nearby towns. The availability of natural resources and accessibility of vital infrastructures like roads, railway, communication, and port facilities, which were built and improved by American colonist, prompted the Japanese military to occupy and stay in Cebu for so long. Ironically, these road networks, building installations, transportation facilities especially that of wharves along the coastline of Cebu which were utilized as garrison by Japanese forces, were then heavily bombarded by American’s during the liberation of Cebu in early 1945. After the war, one of the important upgrade the local government considered is its infrastructure especially that of the damaged shipping facilities. During and after rehabilitation and recovery era, shipping activities steadily grew, in fact thousands of merchant’s vessels arrives and departs here annually, bringing with them various goods and commodities; sadly the existing two thousand six hundred meters of berthing space weren’t enough to accommodate different types of vessels calling this port. By 1960’s, the congestion in the downtown area and all the way to its port facilities were said to be hindrance to the economic development of the city- as most roads were very narrow and without adequate sidewalks, flooding’s are often experienced by city dwellers after heavy downpour of rain. To address these problems, the Port Development and North Reclamation Project were envisioned then, to which around one hundred sixty hectares of lands were to be reclaimed – an additional two thousand and two hundred meters for wharves expansion of the port’s facility was also proposed and later approved. It was funded by the city government and after a couple of years of construction the project finally completed as early 1970’s. Cebu City the capital of the Province of Cebu, is home of the second largest and busiest port in the country. 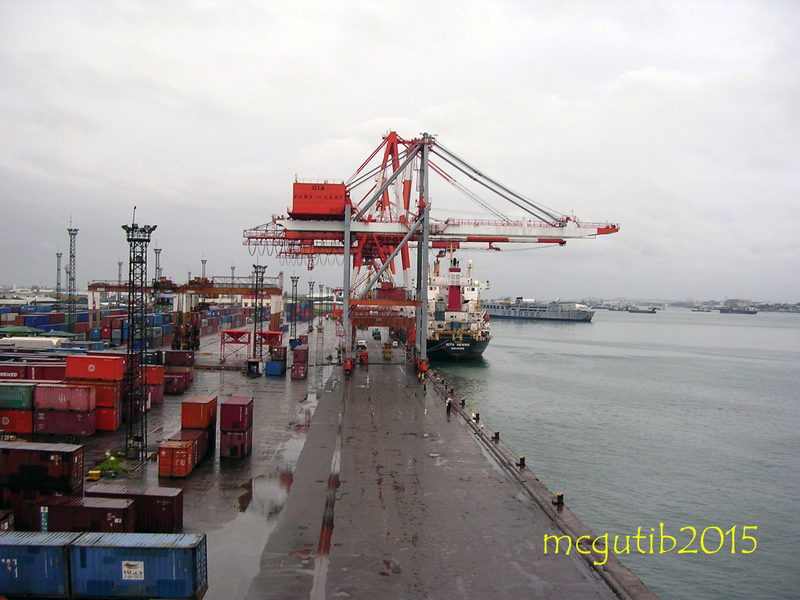 Its port facilities include the main or base port in Cebu City- which had three and a half kilometers of the city’s waterfront occupied by passenger terminals, container/cargo yards; berthing/docking ramps space for ferry boats, fast craft, containerized and/or roll-on roll-off vessels. 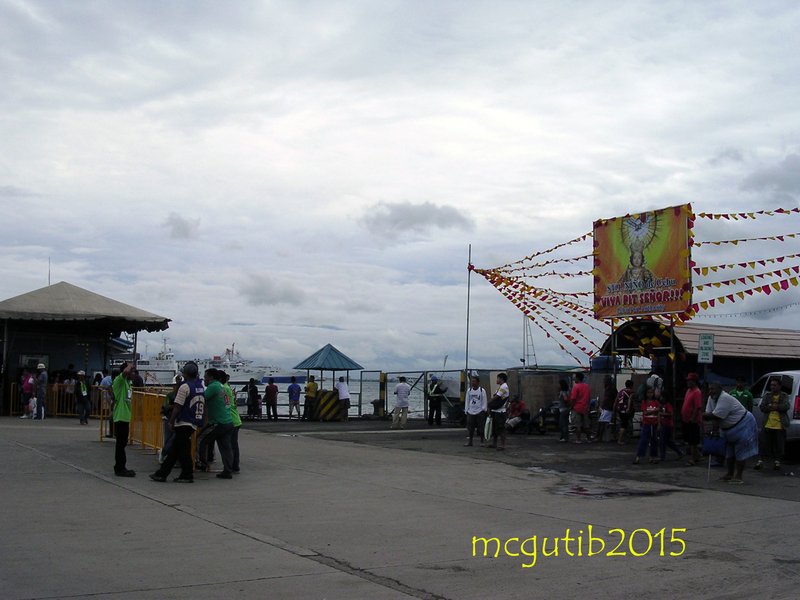 Meanwhile its sub-ports are located in Toledo City, Argao, Danao City, Mandaue City and Santa Fe. 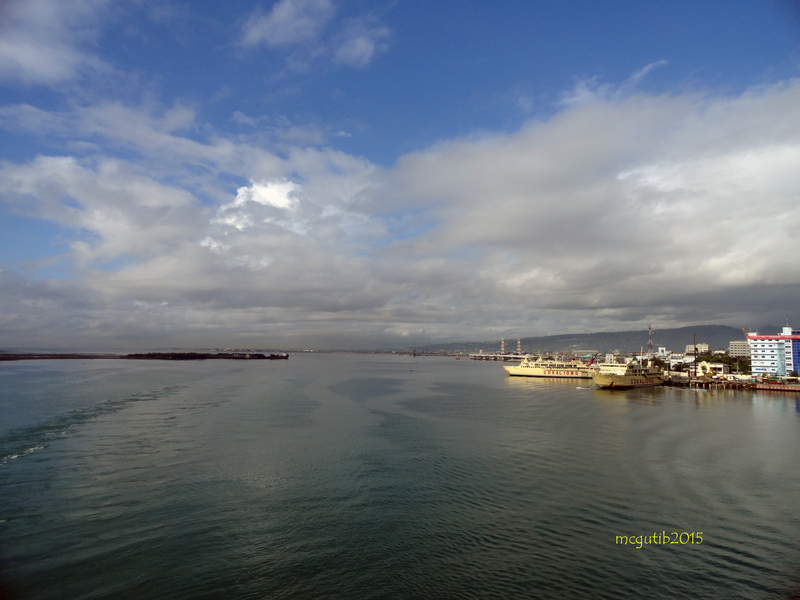 Cebu Harbor on the other hand, thought to be one of the finest in the country, is formed by a strait between the Metropolitan Cebu and Mactan Island. Limits of the harbor are defined by imaginary line extending from Pangulan Point, on the northern tip of Mactan Island, and due north of Bagacay for the mainland of Cebu; and an imaginary line extending from Lauis ledge on the southwestern tip of Mactan Island to Lipata Point south of Cebu. Serging Osmeña Bridge overlooking the North approach of Cebu Port. The harbor’s shipping facilities can be access through its North and South entrance. From the South channel, large ocean-going vessels are conveniently using this approach when entering Port of Cebu because of less obstruction along its way. The Northeast channel on the contrary, is narrow and heavily congested, having a least navigable width of fifty meters and a controlling depth of eight meters. Large ocean-going vessels are prevented to use the northeast channel because of the existence of Marcelo Fernan Bridge and Sergio Osmeña Bridge, which has a vertical clearance of only eighty-nine feet; only vessels with a clearance in-between seventy six to eighty feet, however, are allowed to pass provided it will take precautionary measures. 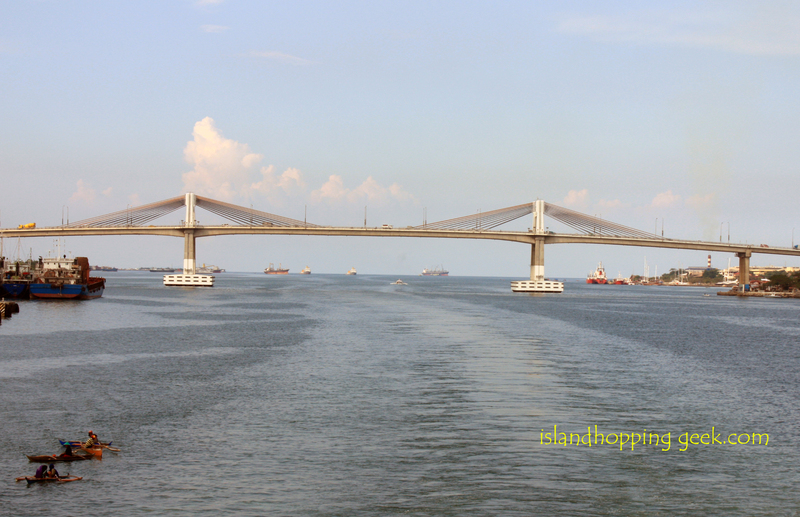 The said two bridges mentioned by the way do connect Mactan Island to the mainland. 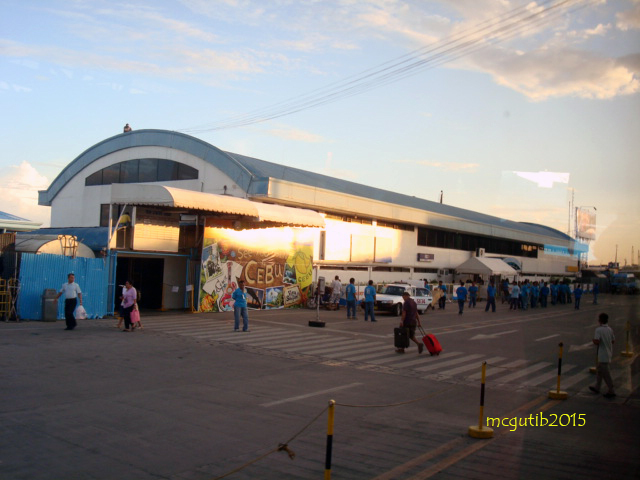 Port of Cebu is home of some of the known shipping operators in the country, and is somewhat comparable to a busy Ninoy Aquino International Airport – eighty percent of the ferries plying the domestic route is said to be based here, the remaining twenty percent comes from Batangas, Iloilo and other small ports. Arrivals and departures of ferry boats, container vessels, trampers, outrigger boats, hi-speed ferries, cruise ships and patrol boats are mostly in every minute – a never ending activities, definitely a twenty four-seven operations. It also had an extensive ferry connection to many cities in the Luzon-Visayas-Mindanao areas and no other city can claim such distinction, even the capital City of Manila fails in comparison. Likewise, from sun up to sun down the three passenger buildings, namely Terminal’s 1, 2 and 3, including the Metro ferry terminal are often filled with travelers waiting to board a ferry – passengers are on its peak during Sinulog festivities, regular holidays, long-weekends and summer time; buying a ticket for same day departure is quite hard to find especially during this time. The best thing to do is plan your travel ahead of time and at least buy your ticket days ahead. Ticket booths and booking offices by the way are available on every corner of the city thus providing every travelers too many options to choose as to when, where and how to reach their next island hopping destinations, unlike in other cities wherein options are very few. Pier’s 1, 2 … up to the 6th Pier are all accessible via any public and private vehicles through major thoroughfares of the city like the Osmeña Boulevard and/or Quezon Boulevard, both of which has a link to Coastal Road (SRP) and many other known landmarks surrounding the city. Whereas Pier 7, a cargo facility for Gothong Shipping and Pier 8, a berthing and container facility for Super Shuttle RoRo/Ferry vessels (coming from Batangas and Leyte), can all be access by a taxi or private vehicles through the F.E Zuellig Avenue via Ouano Avenue. The introduction of Strong Republic Nautical highways by previous administration, and with the on-going improvement of its system and facilities by the Department of Transportation (DOTC) particularly for the Port of Cebu, consequently resulted to an increased of passenger traffic- reaching a total of 8.14 million* for year 2012 alone. To this date passenger traffic grows at steady paced, owing on a steady rise of tourist arrival and the stable economic growth the country is experiencing right now also adds- up to the equation. * Proximate distance calculation and considered unofficial. It may also differ to other shipping operator’s distance calculation. George & Peter Line’s M/V Georich, serving Cebu-Dumaguete-Dapitan v.v route. While inter-island ferry services between Cebu and neighboring islands are constantly improving, thus, taking advantage of the geographical proximity and profitability; ferry connection from Cebu City to some parts of Mindanao particularly Sulu and Tawi-tawi or Cagayancillo and Cuyo Island both in Palawan, on the contrary, is still underdeveloped due to perhaps the sheer distance of the said above destination and its economic disadvantage it mainly offers. Asia Marine Transport #38 Gorordo Ave. Cebu City Visit their Facebook page. VG Shipping Lines VG Shipping Lines Bldg. Lite Shipping Corporation 14 G.L. Lavilles cor. M.J. Cuenco Ave.
Cebu to Leyte- Ormoc City, Hilongos, Maasin, Bato, and Baybay- please click here. Cebu Port Authority (CPA) was formally established through the enactment of Republic Act No. 7621 signed on June 26, 1992 to specifically administer all ports located in Cebu Province, effectively separating from the umbrella management and control of Philippine Ports Authority- said to be the first Port to do so. CPA, under the supervision of the Department of Transportation & Communications (DOTC), officially took over all ports that is within the jurisdiction of Cebu province on 1st of January, 1996. There are approximately one hundred-thirteen (113) ports presently operating in the entire Cebu Province, they were classified into two groups – one is the government controlled ports, while the other is the privately held and controlled ports. Government ports consist of ten primary ports, which include the largest of them all, the base port of Cebu, and thirty-two secondary ports. Except for a handful of municipal ports which are funded by local government units (LGU), the smaller but equally important ports such as the one in Toledo City, Argao, Danao City, Mandaue and Santa Fe are owned and controlled by Cebu Port Authority. Privately owned and controlled marine facilities on the other hand consist of fifty-two (52) private ports, fourteen (14) shipyards/or dry-docks, three (3) fish ports and two yacht club-namely the Porter’s Marina Yacht Club and Cebu Yacht Club. On the other hand, the International Container Terminal and the Domestic Container Terminal both of which are government held ports, are contracted or leased out to private companies- who provide them operational expertise in cargo handling, equipment, port workers and others. Pilotage on the other hand, is handled by another private company. 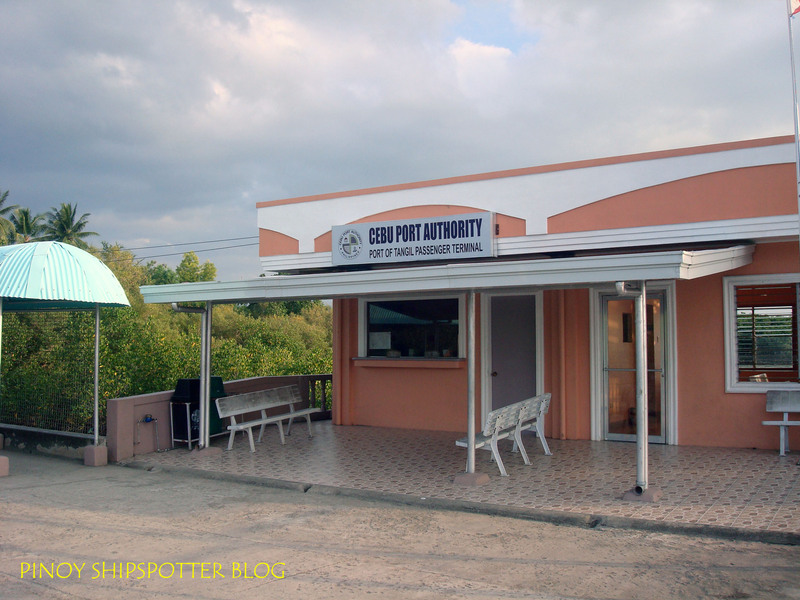 Generally speaking, what CPA does is purely planning and development, management and maintenance of port facilities- it provides the terminal infrastructure while the contracting companies provides the operational expertise and manpower. A spacious, well-lighted and fully air-conditioned Passenger terminal 1-opened on November 21, 2014. It is better equipped terminal with gender-sensitive facilities and other amenities not found in the previous set-up. An 18.43 meters x 141.80 meters Pier with dedicated bething space for fast craft, Ramps for ro-ro vessels, Open Storage Area for cargoes and Cargo-Handling Equipment as well. Newly renovated, spacious, well-lighted, air-conditioned and fully functional Passenger terminal 2 opened on June 11 of this year- with amenities similar to that of Terminal 1. An 18.43 meters x 141.80 meters Pier, with ramps for ro-ro vessels, and berthing space for fast craft vessels as well. Open Storage Area for cargoes and Cargo-Handling Equipment. A plan to renovate and improve the current Terminal 3, for exclusively used as fast craft terminal. * Expansion of the Domestic Container Terminal and future plans to relocate the International Container Terminal to its New Port. * On-going construction and rehabilitation of terminal facilities for domestic Roll-on Roll-off vessels. AKIKO KISHIUE, PRIMITIVO C. CAL, KOICHI AMANO, and HUSSEIN S. LIDASAN. (October 2003). The Transformation of Cebu City through the develoment of its Transportation and Infrastructure (1521-1990). Journal of the Eastern Asia Society for Transportation Studies. 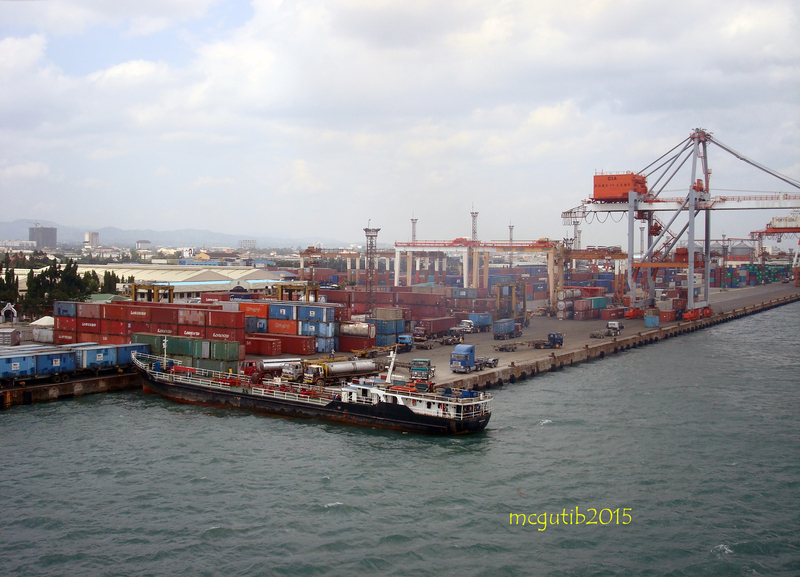 ORIENTAL CONSULTANTS CO., LTD. IDES CO., LTD. Study on the new Cebu Container Port and the Redevelopment of the existing Cebu Port in the Republic of the Philippines. Final Report. February 2012. Study on Private-Initiative Infrastructure Projects in Developing Countries FY 2011.